The 2020 Astronomy and Astrophysics Decadal Survey (Astro2020) Call for White Papers has been published by the National Academies of Sciences, Engineering, and Medicine. To assist with coordination in the multi-wavelength community – with emphasis on radio-millimeter-submillimeter wavelengths – the NRAO has created a website to compile and broadly disseminate white paper topics, ideas, and submissions, particularly those relevant to a next generation Very Large Array. This website and planned white papers list will be publicly available and will strive to enable improved communication regarding Astro 2020. To add summary information to this website regarding an Astro 2020 white paper that you intend to submit, you need complete only a brief form with your paper’s title, the first author, any contributing authors, and a brief description. Alternatively, this information can be mailed to astro2020.wp@gmail.com, and NRAO staff will update the website table. Astro 2020 white paper submissions will be open from Monday, 7 January 2019 (12:01 a.m. EST) through Friday, 18 January 2019 (11:59 p.m). Please visit the National Academies website for additional information. The NRAO looks forward to working with the astronomy community and the National Academies to craft an exciting future that opens vast new discovery space and enables the highest impact science. 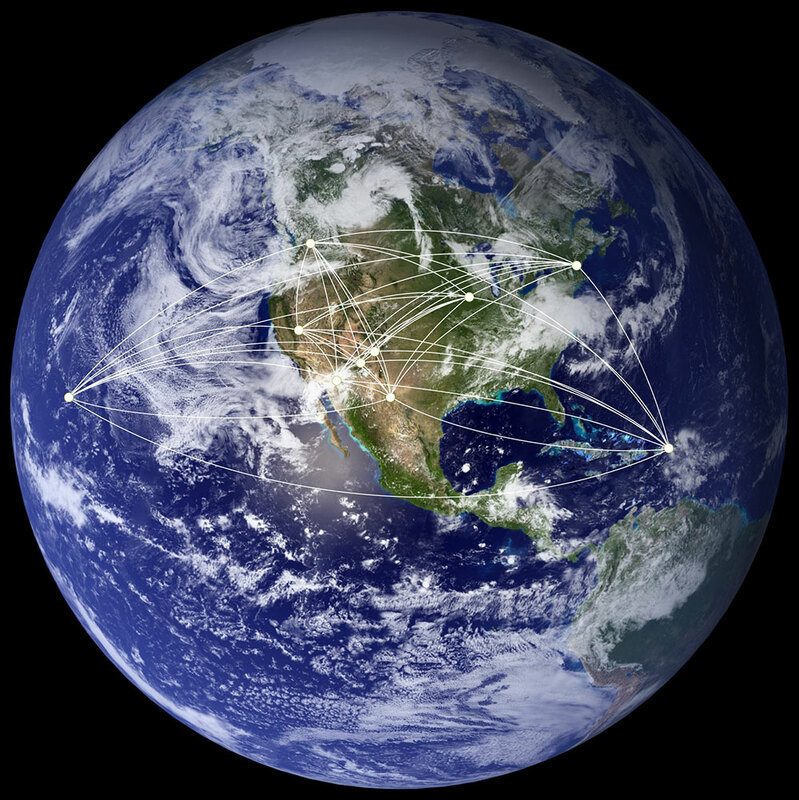 On 1 October 2016, the Very Long Baseline Array (VLBA) was extracted from the NRAO and placed under the management of the Long Baseline Observatory. Shortly thereafter, the US Naval Observatory became a 50% funding partner, ensuring the near-term vitality of the VLBA. On 23 October 2018 the NRAO received an award from the National Science Foundation for reintegration of the VLBA with the NRAO and continued operation through 30 September 2026, at which point the entirety of NRAO will again be due for management recompetition. With this chapter of the VLBA's history behind us, attention will turn to its future development. I would like to thank the VLBA user community for its patience during the past half-decade of uncertainty and for continuing to produce fantastic scientific results spanning geophysics through z = 6 quasars. This is truly what keeps the VLBA going. 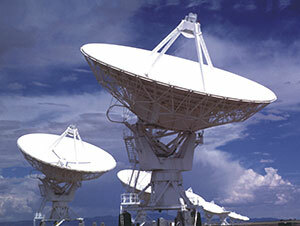 NRAO has issued a press release regarding the return of the VLBA to NRAO. The National Radio Astronomy Observatory (NRAO) is pleased to accept applications from institutes in North America to host a Community Day Event (CDE) between mid-January and mid-September 2019. CDEs are one- to two-day events designed in cooperation with host institutions during which NRAO staff give presentations on the capabilities of the Very Large Array (VLA), the Atacama Large Millimeter/submillimeter Array (ALMA), and the Very Long Baseline Array (VLBA), and tutorials on proposal preparation, observation preparation, and/or data reduction and data products. The CDE agenda will be largely driven by the goals of the host institution and the expected participants. There will be no cost to the host institution. We ask only that you engage a minimum of 15 participants, each of which is expected to bring a modern laptop capable of running the required software, and provide a sufficiently large meeting room with typical audiovisual capabilities (projector) and Wi-Fi. To reach this minimum, consider inviting colleagues from other institutions in your area. For more information, contact LOC Chair Brenda Matthews. The ngVLA Science Book is nearing the final stages of publication via the Astronomical Society of the Pacific Monograph series. Hardcopies will be available at the January 2019 American Astronomical Society meeting in Seattle. This schedule will ensure that individual chapters will be listed in the SAO/NASA Astrophysics Data System for maximum visibility to the Astro 2020 panel members. During the week of 15 October, a majority of the book chapters were jointly announced on arXiv. The volume of these materials was so large that it overwhelmed the arXiv server! We thank all who have contributed to this exciting collection of transformative science, the arXiv staff for effectively dealing with the contributions deluge, and encourage all to review what has been posted on the arXiv. As a reminder, all first authors will receive a complimentary copy of the ngVLA Science Book. With nearly 90 chapters (800+ pages) from 285+ authors, this volume highlights key areas of astrophysics that are ripe for major breakthroughs and underscores the broad U.S. and international support for pursuing a next-generation Very Large Array (ngVLA). While this published volume will serve as a critical snapshot for the ngVLA project status and a vision for the ngVLA transformational science, we envisage this science book as a living document that will be periodically updated through the initiation of construction. With the ngVLA Science Book essentially completed, the ngVLA Science Advisory Council (SAC) and NRAO would like to quick start white paper coordination for the Decadal Survey (Astro 2020). As per the call, Astro 2020 Science White Papers should focus on the detailed presentation of fundamental science opportunities. They may not be more than 5 pages in length and may be submitted between Monday, 7 January 2019 and Friday, 18 January 2019. Detailed preparation and submission instructions are in the pdf document available at this link. Given the relevance of so many ngVLA Science Book chapters to the thematic science area solicited in the Astro 2020 Call for White Papers, we hope that Science Book authors will strongly consider writing an associated White Paper. To facilitate white paper coordination among ngVLA science book authors and across the multi-wavelength community, we have established a website that lists white papers being written, their first author, contributing authors, the relevant Astro 2020 science theme(s), and a brief description. This site is intended to encourage communication across the community regarding Astro 2020 white paper topics, ideas, and contributions. To add your contribution(s) to this moderated list, complete the brief contributions form on the web page above, or email this information to astro2020.wp@gmail.com. You may also use this email to edit or update information about your white paper(s). Thank you for helping to construct a strong science case for the ngVLA. Please email SAC members or the ngVLA project scientist (Eric Murphy) if you have any questions or require additional information regarding Astro 2020 white paper coordination, or any ngVLA topics. The list of current ngVLA SAC members is online. Setting telescope panels accurately for best antenna efficiency is tough work at ALMA’s altitude, where it is cold even in early Spring. The ALMA team closed out Cycle 5 and began Cycle 6 observations on schedule on 1 October with 66 out of 66 antennas available. The array has transitioned to the C43-6 configuration (0.31 arcsec beam at 100 GHz,15 m to 2.5 km baselines). It is planned to move array elements inward after that configuration in a contracting array cycle, arriving in C43-5 by 15 October. The ALMA configuration will then contract further through the February 2019 maintenance period, reaching its most compact C43-1 configuration in late January. After this, the array expands through C43-4 until May 2019 when a major relocation to C43-10 is planned, followed by gradually smaller arrays through the end of Cycle 6. Director’s Discretionary Time (DDT) proposals falling into one of the approved categories may be submitted for implementation during Cycle 6. DDT proposals may be approved only if their science case is exceptionally strong, especially if they are not related to the observation of a sudden and unexpected astronomical event. In Cycle 6, 200 hours on the 12-m Array and 150 hours on the Atacama Compact Array will be available for DDT proposals. A Call for Proposals for ALMA Development Studies will be released 1 December 2018. The deadline for proposals will be 1 May 2019 for funding during Fiscal Year 2020, depending on the federal budget process. We welcome any member from within the North America ALMA Operations Partnership to submit a proposal to investigate a potential ALMA upgrade (hardware, software, or advanced techniques). Particular attention should be given to ideas which may address the goals elucidated in the ALMA Development Roadmap. The North American ALMA Science Center (NAASC) is accepting applications for the ALMA Ambassadors Postdoctoral Program. The Program provides training and a $10,000 USD research grant (other forms of payment are available, see below) to postdoctoral researchers interested in expanding their ALMA / interferometry expertise and sharing that knowledge with their home institutions through the organization of ALMA Cycle 7 proposal preparation workshops. The NAASC will sponsor selected postdocs at the National Radio Astronomy Observatory headquarters in Charlottesville, Virginia for three days in February 2019 to receive in-depth training. Training will include topics related to ALMA proposal writing: interferometry basics, ALMA science capabilities, recent ALMA highlights, use of the Observing Tool, and guidance with speaking on these topics. The training session will also include a poster viewing session where the participants can highlight their science followed by an informal lunch with NRAO staff. After the training, the postdocs will host a local proposal preparation workshop at their home institution in advance of the Cycle 7 ALMA proposal deadline in April 2019. All talk materials, supplies, and infrastructure for the workshops are provided by the NAASC. A $10,000 monetary grant is offered in support of the selected postdocs' independent research programs. 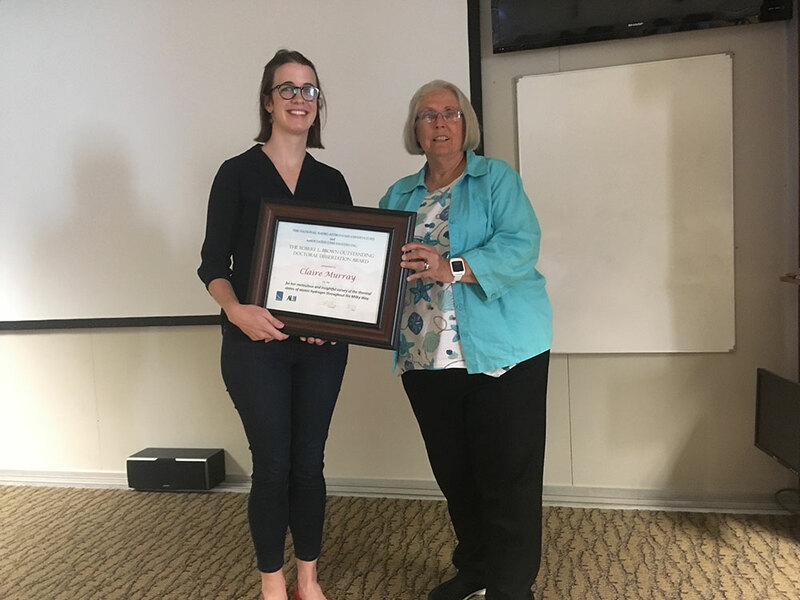 If the awardee is not able to receive the monetary grant, the NAASC can offer up to $10,000 in science travel reimbursement (must be used within 12 months of training) or up to $10,000 for the host institution to support students or summer researchers. Postdocs with some radio or submillimeter interferometry experience are preferred. Postdocs must be based at a U.S. institution. If you do not meet these requirements but are interested in learning more about the training we are offering, please contact Loreto Barcos-Munoz to discuss possible opportunities. Although not required, we will consider multiple postdoctoral applicants from the same institution to share the award. Deadline to apply is 15 November 2018. To apply and for more information, please visit the ALMA Ambassadors website, and send a CV and completed application to Katelyn Sevin. The Science Ready Data Products (SRDP) project is pleased to announce the appointment of Mark Lacy to the role of SRDP Operations Manager. As the SRDP Operations Manager, Mark will lead a team of data analysts in delivering quality assured science products from the NRAO interferometers. Mark joined NRAO in 2009 as part of the North American ALMA Science Center, where he has been involved with many aspects of the development and delivery of products from the ALMA telescope. Mark moves to the SRDP role from the position of Data Services Lead within the NAASC, and will continue as Project Scientist for the Very Large Array Sky Survey (VLASS). 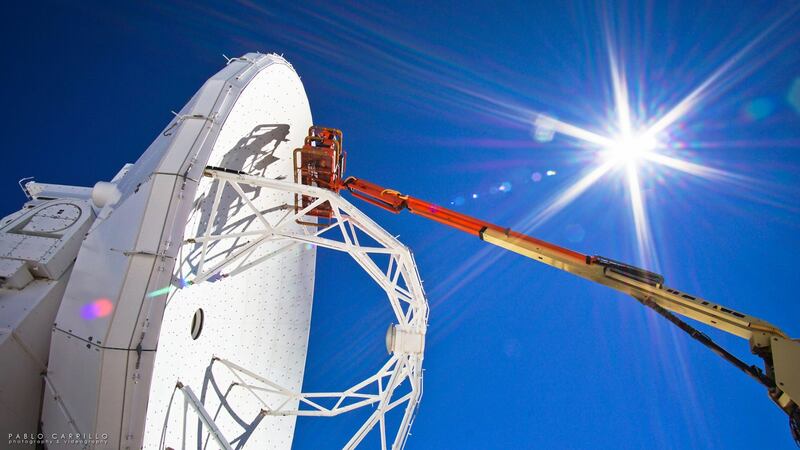 The SRDP project is working with the NRAO Data Management and Software Department on implementation of a first set of capabilities, supporting both the VLA and ALMA user communities. A limited release of these capabilities is planned for summer 2019, with full release following soon thereafter. 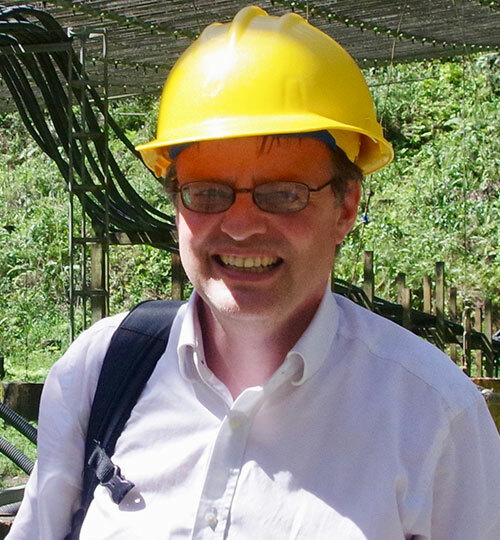 Professor Blandford has made many theoretical contributions to radio astronomy. In particular, he, along with younger colleagues, developed the basic theory behind the formation and propagation of cosmic jets of plasma propelled at nearly the speed of light. He has received many prizes and awards and is arguably the outstanding theoretical astrophysicist in the U.S.
A native of England, Blandford earned his B.A., M.A., and Ph.D degrees at Cambridge University. He held postdoctoral positions at Cambridge, Princeton, and Berkeley before joining the faculty at Caltech, where he taught astronomy and physics for more than 25 years. In 2003, he moved to Stanford to become the first Director of the Kavli Institute for Particle Astrophyics and Cosmology. His research interests cover many aspects of radio astronomy involving quasars, pulsars and supernova remnants, as well as cosmology, using gravitational lensing and the cosmic microwave background. 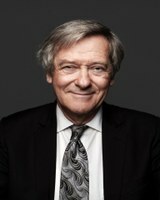 He has received many honors, including election as a Fellow of the Royal Society and of the American Academy of Arts and Sciences, and is a member of the National Academy of Sciences. He has received the American Astronomical Society’s Dannie Heineman Prize, the Crafoord Prize, and the Gold Medal of the Royal Astronomical Society. As Jansky Lecturer, Blandford will speak on The Radio Harvest at NRAO facilities in Charlottesville, Virginia; Socorro, New Mexico; and at the Green Bank Observatory in West Virginia. The presentations will illustrate the glorious/remarkable history and international development of radio astronomy, paying special attention to pulsars, massive black holes, cosmology and using one of the most fascinating recent discoveries, fast radio bursts. These lectures are open to the public. Dr. Claire Murray is presented the Robert Brown Outstanding Dissertation Award by Karen Brown. At a 21 September ceremony at NRAO–Charlottesville, Dr. Claire Murray received the 2017 Robert L. Brown Outstanding Dissertation Award for her extraordinarily detailed observations of the thermodynamic state of neutral gas in the interstellar medium and her dissertation, Unveiling the Diffuse, Neutral Interstellar Medium: Absorption Spectroscopy of Galactic Hydrogen. The Robert L. Brown Outstanding Doctoral Dissertation Award is administered by Associated Universities, Inc. (AUI) and the NRAO on behalf of Bob Brown’s friends and family to honor Bob’s life and career. The Award is given each year to a recent recipient of a doctoral degree from any recognized degree granting institution in the United States, and is substantially based on new observational data obtained at any AUI operated facility and considered to be of an exceptionally high scientific standard. Applications for the 2018 Award should be sent to RLBrownAward@nrao.edu no later than 31 December 2018. More information on the application procedure can be found online. ALMA Postdoctoral Fellows: The JAO is offering postdoctoral fellowship positions to join the ALMA science operations group in Santiago, Chile. The goal of these fellowships is to offer young scientists the opportunity to enhance their research programs through involvement in science activities and interactions with experienced staff at the world's foremost observatory for sub-mm astronomy. ALMA Head of Science Operations: The Joint ALMA Observatory (JAO) is seeking a senior science manager, with extensive experience, to lead the Department of Science Operations (DSO), which is responsible for the science operations of the international ALMA radio astronomy observatory in Chile. This is an outstanding opportunity to lead the scientific operations of the most ambitious ground-based observatory operational in the world today, delivering unique scientific data to a world-wide user community of ~ 4000 professional astronomers. Postdoctoral Fellowship: The Green Bank Observatory (GBO) is seeking an enthusiastic and energetic post-doctoral research associate to join the staff at Green Bank, West Virginia. The successful applicant will be a key member of the team developing a laser metrology system for precise alignment of the surface of the 100-meter diameter Green Bank Telescope (GBT). Scientist (Open Rank): The Green Bank Observatory is seeking an enthusiastic and energetic scientist to join the staff of the Green Bank Observatory in Green Bank, West Virginia. The successful applicant must have knowledge of astronomy and familiarity with, or desire to learn, radio astronomical instrumentation and techniques. We are especially interested in individuals whose research complements the high-frequency capabilities of the Green Bank Telescope (GBT); but those in other areas whose research could utilize the GBT will be considered. About this month's photo:The 85 foot Howard E. Tatel telescope, NRAO's first instrument, was dedicated on 16 October 1958, just one day short of a year after the NRAO groundbreaking ceremonies on 17 October 1957. In this photo, Alan T. Waterman, the first National Science Foundation Director, is at the podium, with Mrs. Tatel and Judy and David Tatel seated behind him. In his remarks, Waterman said, "Fifty years ago The London Times, commenting on the Jubilee of the Oxford Museum, observed that 'There was no practical need for Tycho Brahe to don his richest robes when he entered his observatory, but our hearts warm to him for this visible sign of reverence for his work.' Similarly it could be said there is no practical need for us to gather here today to dedicate the great steel structure that will shortly give us yet another window on the Universe. But we do so because we wish to honor those activities that are undertaken solely because they widen our horizons and increase our storehood of knowledge." 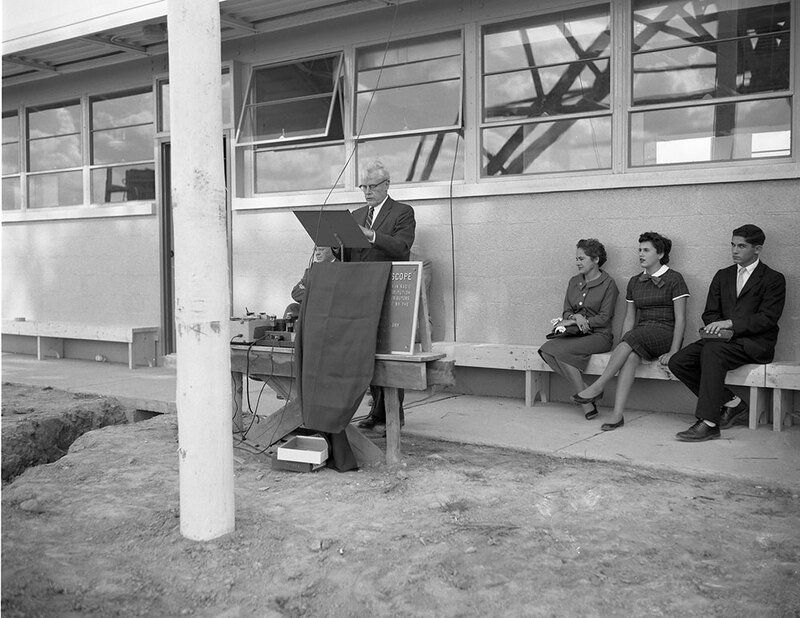 Another speaker at the dedication was Otto Struve, who became the first Director of NRAO just 8.5 months later. And on the day of the dedication, Grote Reber arrived in Green Bank to oversee reassembly of his Wheaton antenna at the entrance to the Green Bank site. Listen to the audio of the 27-minute dedication ceremony, including comments by AUI President Lloyd Berkner, US Representative Harley Staggers, Waterman, and Struve.